Recovering Ak Bars, well-disciplined Neftekhimik, problem-plagued Metallurg, Krikunov-inspired Avtomobilist, and more. 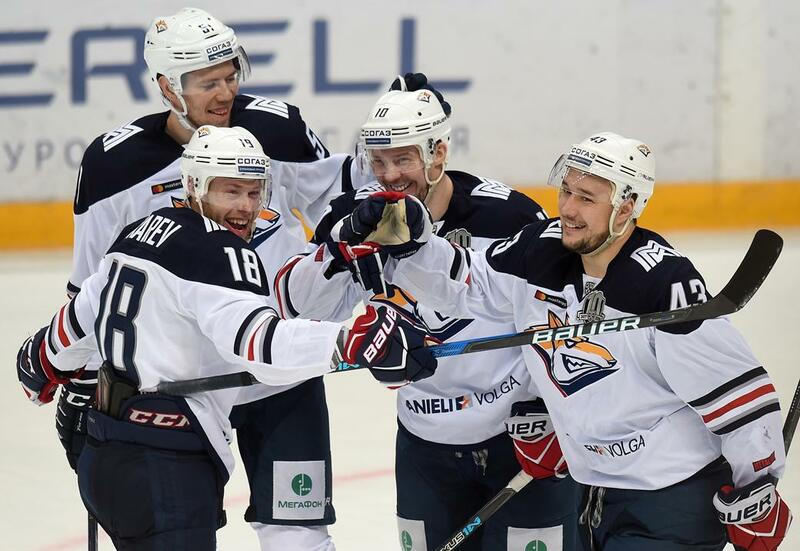 KHL.ru presents its mid-winter progress report on the teams in the Kharlamov Division. While Ak Bars is yet to clinch the top spot in the Eastern Conference, since a small mathematical chance of catching the Kazan Men resides at both Neftekhimik and Avtomobilist, and additionally, the regular season ends with the predictably-unpredictable “Green Derby” against Salavat Yulaev, it would be a courageous or reckless individual who would bet against the White Leopards holding on to first place. The team is also second-placed in the Eastern Conference listings for goals scored, while the defense is the third meanest in the entire League. Against this success, we should remember that this season for the Kazan club was far from easy. For example, November began with a run of five defeats in six outings, and in early December the team lost four out of five. The reason behind each of these sticky patches was a cluster of injuries to leading players, but on the plus side, all should be well in time for the playoffs. We should not neglect to mention another problem now solved – the absence of four-time Gagarin Cup-winner Danis Zaripov, who did not make his return debut until the 8th of December, thanks to a doping ban that was since overturned. No hockey fan would begrudge Neftekhimik its playoff place this season. Andrei Nazarov's team has been tenacious, stubborn, battling, and highly disciplined (in terms of penalty minutes, the Nizhnekamsk team has the fourth lowest total in the KHL). To go through an entire Championship without a bad spell is, of course, next to impossible, but for Neftekhimik there was only the run of four successive losses in regulation time during January. As for when the team was at its best, then the list of victims - CSKA, Magnitogorsk, Lokomotiv, Ak Bars and many others – tells us all we need to know. Even in the Tatarstan Derbies against Ak Bars, Nazarov's team celebrated victory in two out of two, and kept the Kazan Men off the scoreboard in the second encounter. The quality is very evenly spread throughout the roster, so while Dan Sexton is the undisputed points leader, there is a host of players competing to be top goal-scorer this season. The last line of defense, Ilya Ezhov, has been just as impressive, and currently occupies fifth place in the rankings for most shutouts this season, while the team's penalty kill rate is 84.6% - the third-highest percentage in the KHL, bettered only by SKA and Jokerit. Before the start of the tenth Championship, Avtomobilist head coach Vladimir Krikunov announced that this was to be his last season. The respected specialist had mentioned retirement on a few occasions before, and was persuaded to change his mind, but this time his decision was final. The Yekaterinburg team, which had been under Krikunov's guidance since October of 2016, has done its very best to give the boss a memorable season as a fitting send-off, and not only have they been one of the strongest teams in the East in terms of fitness – as one would expect from a Krikunov team – but they have also scored more goals than any other team in the Conference. No fewer than seven Avtomobilist players have reached or surpassed 25 points, and the most dangerous of them all has been 22-year-old Anatoly Golyshev, who since the end of November has grabbed points from 10 out of 13 matches. 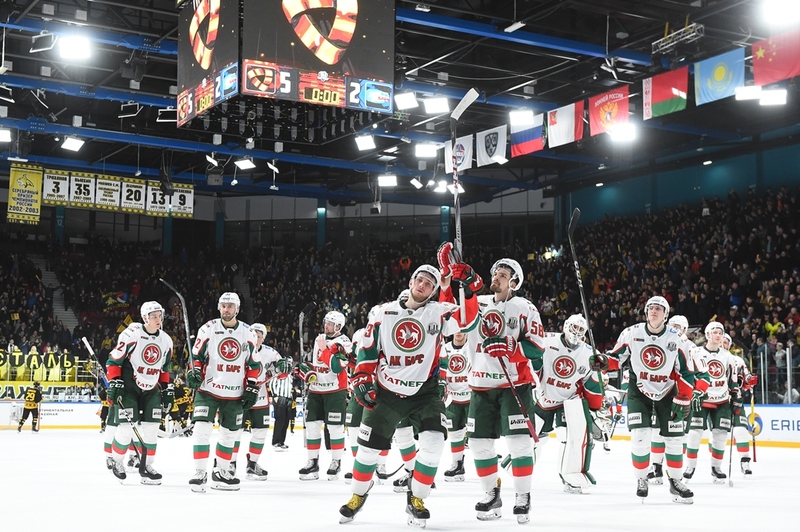 On one occasion, the team even reached the giddy heights of first in the Eastern Conference standings, before being overtaken by Ak Bars and Neftekhimik. Now, as we enter the Olympic break, the team lies in fourth spot, two points above fifth-placed Traktor, and so has an excellent chance of beginning the knockout stage on home ice. While many other teams in the Eastern Conference, and indeed, throught the sporting world in general, were making regular headlines with the departure of a head coach or star player, Traktor has been a picture of stability and serenity, driving into the playoffs under everyone's radar. The only episode in which Traktor's smooth ride seemed it might stall was when goaltender Pavel Francouz publicly declared he would like more ice time, but that problem was solved and the Czech netminder now boasts a save percentage of 94.5 – the highest of any goalie in the League. As befits its name, Anvar Gatiyatulin's team started the season in sluggish form and it took a while before it was firing on all cylinders, and only really reached fifth gear after the New Year holiday. Now all is well in this hockey-loving city, and the Chelyabinsk Men went into the Olympic break with a five-game winning streak, during which the miserly defense allowed only three goals. To get the added bonus of home-ice advantage in the first playoff round will be tough, however, as Traktor would certainly need to beat Avtomobilist – one place and two points above - and probably need to follow that with victory over the men of Sibir, who fiercely-battling to book a playoff berth. After losing the Gagarin Cup final series last year, Metallurg's roster underwent significant changes, and for one reason or another the team lost key personnel – Mozyakin's long-time partner Danis Zaripov returned to Kazan, for example. As a result, the team struggled to find its rhythm in the early stages of the campaign. 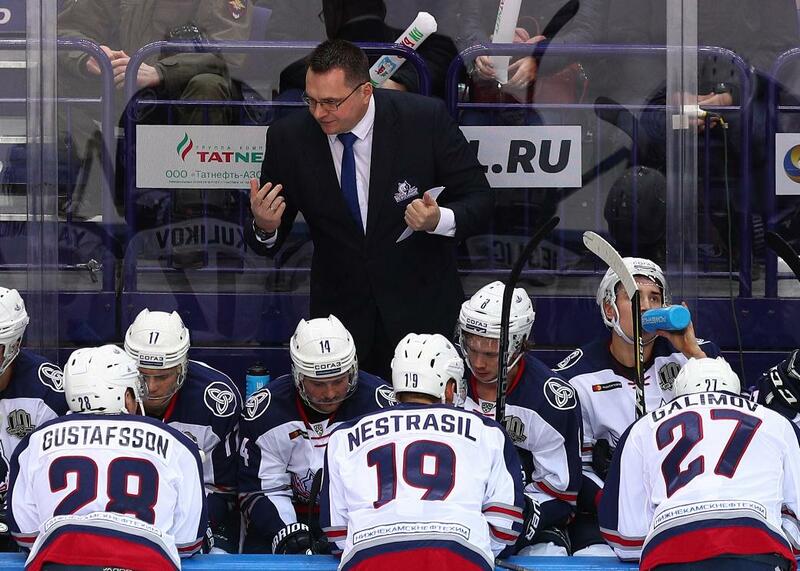 Then came a spell in the second half of November in which Metallurg suffered five regulation-time losses in six games, and with a 1-3 defeat at the hands of Lada being the last straw, head coach Ilya Vorobyov was given his marching orders and Viktor Kozlov took charge of the team. The roster continued to see a wave of departures over the course of the season, including Igor Grigorenko, Yaroslav Khabarov, Yaroslav Kosov, and Tomas Filippi, although a few prodigal sons returned: Alexei Bereglazov, Chris Lee, and following his unsuccessful move to Kunlun, Wojtek Wolski, who seems to be suffering no ill-effects from the serious injury he sustained the previous year, and there was also the arrival from Salavat Yulaev of Denis Kokarev. Now we only have two games remaining until the end of the regular season, and the two-time Gagarin Cup champion and last year's runner-up still has not guaranteed its place in the post-season. Ugra began the current season full of optimism. The team was under the guidance of Igor Zakharkin, a mutiple title-winner and a media friendly figure, who had two Gagarin Cup golds under his belt as an assistant and one bronze as a head coach. However, for some reason the respected specialist could not raise Ugra to a higher level, and in the 14 games of his reign the team managed a mere three victories, and only one of those was in regulation time. As early as the 29th of Sptember, the Khanty-Mansiysk team waved goodbye to the head coach and named Anatoly Yemelin as his successor. Inthe early days under the new boss, the team's form took a turn for the better and the Mammoths began to win some games, but they could not keep the momentum going, and if we want one statistic that sums up Ugra's season it is that no fewer than 19(!) players left the club over the course of the campaign. Soon, even a mathematical chance of a playoff place vanished, and the main target was now damage limitation, namely to avoid finishing bottom of the Conference standings. Many a neutral would wish for better, as this is a great family club which stages many off-ice events for the fans and charity games for disadvantaged children, and the premature end to the season at least gives the staff time to plan for next year. Few at Togliatti had any illusions of great things from the club this season, and the lowly expectations were justified even before the end of September, when the team had recorded a miserly two victories in its first 14 matches. Artis Abols's men now face two more matches, against Neftekhimik and HC Sochi, before they can head off on vacation, and are battling with Ugra, above, to avoid ending the season in the basement position of the Eastern Conference standings. On the search for a bright side, we can note that Lada has scored more goals than has rival Ugra, and the goals-against column is scarcely worse than that of Spartak and Severstal, but these are crumbs of comfort to the Togliatti fans. It is also true that lengthy losing streaks were absent after that dismal start to the season, and only once again did they allow themsleves to suffer more than three defeats in a row. They even on occasion punched above their weight and emerged victorious against Neftekhimik, Metallurg, and Lokomotiv, and there was also the encouraging progress made by 22-year-old forward Denis Zernov, whose prolific scoring record this season puts him on a par with the likes of Dmitry Kagarlitsky and Sergei Shumakov. - The main heroes of the season in the Division are clearly the guys at Nizhnekamsk. In Kazan they like to refere to Neftekhimik as their little brother, but in the tenth KHL Championship the younger sibling has defeated the elder in both meetings. The Nizhnekamsk players are showing what you can achieve with good sponsorship and a talented coach. And the intrigue has not been limited to Nazarov's men. For example, Metallurg is returning to form, and that is an ominous sign for any opponent, and we'll see when the season resumes what kind of effect the Olympic Games has had on the players. Mozyakin, Koshechkin, Lee – all very mature guys who can shrug off minor difficulties. Ak Bars, too, has had its share of problems. The team is full of top-class players who all see themselves as leaders, and there was the addition from across the Atlantic of Burmistrov. The flurry of injuries has taken its toll, and now Danis Zaripov has joined the ranks of the walking wounded, but nonetheless I still see the Kazan team as the clear favorite in the East, because the roster has that strength in depth which allows the coach to choose any tactic he wants for a given series in the knockout stage. As for the dark horse, that has to be Avtomobilist. Right up until the new year, the “Avto” engine was purring like a sports car! They dropped down a few gears after the turn of the year, but now they have a break and Vladimir Krikunov can do some work with his players to fine-tune the performances. Everyone knows it is the boss's last season, so all eyes – and plenty of bets – will be on Yekaterinburg when spring comes around.